The idea for a conference about embracing the power of the arts in and through the local church was born from impatience. Jessie Nilo, director of VineArts Boise, and I were working on the book that would eventually become Creative Church Handbook, but it was obvious it would take quite a while to complete. We were bursting with ideas and enthusiasm about the role of the arts and artists in the church and eager to share them, so after a lot of prayer we hatched a plan to do two conferences on the topic in the summer of 2012; one in Indianapolis and one in Boise. We invited creative leaders like Rory Noland and Theresa Dedmon to speak, and people came from near and far. Those first conferences were everything we had hoped for; informative, inspiring, refreshing, touched by God. Lives were changed and arts ministries founded. And the key was that the whole endeavor was saturated with the prayers of intercessors. You could feel it in the air. Fast forward to 2016. The movement to integrate the arts into the church is growing and (finally) starting to catch up to our impatience. 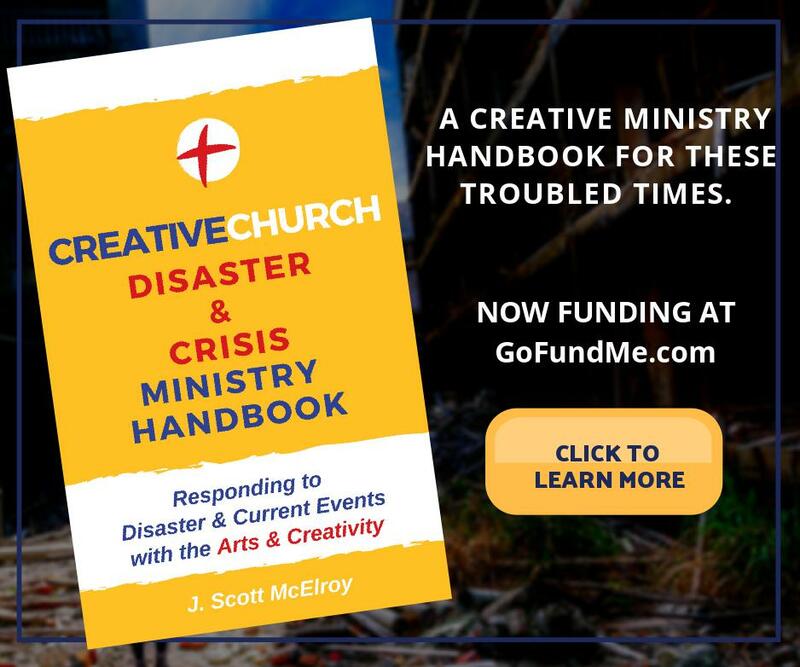 Creative Church Handbook: Releasing the Power of the Arts in Your Congregation has (finally) been published, on InterVarsity Press. And it’s time for another round of Creative Church Conferences. We do these events every other year, instead of yearly, mostly to give us a break, but also as a nod to our friends at CIVA (Christians in the Visual Arts), who do their biennial conferences on the odd years. You can go to our conference site at TheNewR.com for conference details and schedules, but I wanted to tell you about a few things I’m especially excited about for the June 3-5 Indy conference this year. 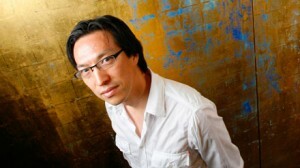 First, we have Makoto Fujimura as our keynote speaker. Mako is an internationally renowned painter, author of the new book Silence and Beauty on InterVarsity Press, director of the Brehm Center at Fuller Theological Seminary, and more. (See his full bio here.) And he is also a sensitive and wise soul and profound communicator. 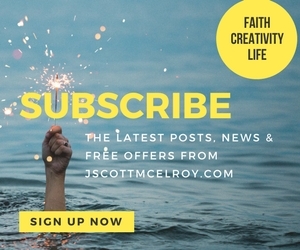 He brings a perspective to our conversation that is helpful to anyone who is interested in creativity and faith. He’ll join us for a panel discussion on Saturday afternoon June 4th about how art done in and through the church affects our communities, deliver the main message that night, then speak during the two Sunday morning arts services. My friend Jason Leith, director of the very exciting Saddleback Church Arts Initiative, is also joining us. (Saddleback is Rick Warren’s church.) In addition to being a very talented and innovative artist, Jason carries a vision for leading artists and impacting the world through beauty. The work he is doing at Saddleback has the potential to lead the way for church-based arts ministries around the world. Jason will share details of the Saddleback Arts Initiative during a main session and join us for an action packed panel discussion. I’m also thrilled that one dream for the conference is becoming a reality. I’ve always wanted to take the event on a field trip to a First Friday gallery tour. Not just to any gallery, but to the Harrison Center for the Arts, a groundbreaking arts initiative in downtown Indianapolis that is hosted by a church, but operates as a respected venue for the arts and artists. They are a unique light in their community in many ways. We’ll join in their First Friday event, with 5 open galleries, and dozens of resident artists, then hold our main session there. My friend Jason Barrows, the talented singer/songwriter and guitarist for Josh Garrels’ band will perform. Then Joanna Taft, dynamic founder and Executive Director of the Harrison will reveal how they do what they do, and just today I confirmed that CIVA Executive Cameron Anderson will wrap up the evening with an inspiring talk on the essential role of beauty and art in our faith. This will be a fantastic night. Cathy Howie will again facilitate our wonderful Creative Room, Jessie Nilo will deliver a powerful session on The Artist as a Work of Art: Nurturing artists as a foundation of arts ministry, and will lead several exciting workshops. And much more is still in the works. More speakers will be announced in the next week. Arts leaders like Ann Williams will lead insightful workshops–and we’ll expand to 16 workshops to choose from this year. This is just at the Creative Church Conference Indianapolis, June 3-5. Boise in late July will have even more wonders in store, and I’ll write about that later. So, say a prayer, if you would, for our team as we put all this awesomeness together. We can have the greatest speakers and the coolest experiences, but our highest goal is to facilitate God’s presence well. We hope that attendees would be filled with His love and inspiration, and when they leave that they would be overflowing with new ways to give it away. I hope to see you in Indy in June!